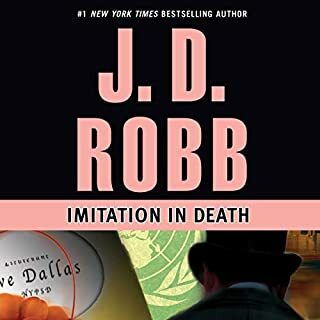 Eve Dallas returns to face her most ingenious foe - a "secret admirer" who taunts her with letters...and kills without mercy. 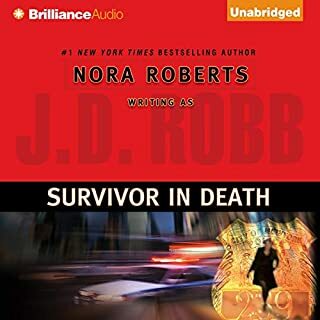 I am totally engaged in listening to Susan Ericksen's narration of this series. She manages to show the personalities of the characters so well!! 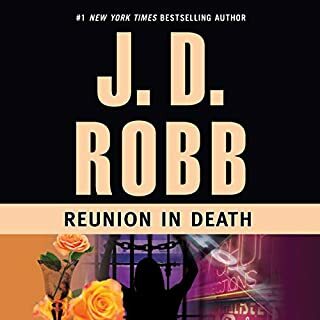 I have listened to the first "in death" book up to this one all in order. 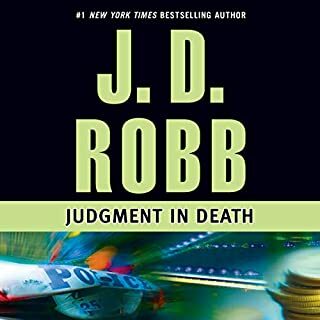 It's been fun to see how Peabody develops as a great cop and how Eve and Roark's relationship evolves. I laugh out loud at some of their conversations, but there is always that sincere love for each other that keeps me wanting to listen to the next book! 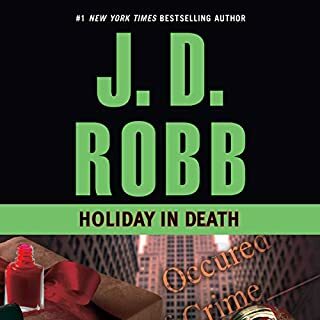 Keep up the good work J D Robb and Susan Ericksen!! The J.D. 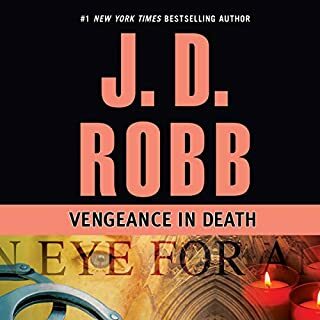 Robb, Eve Dallas series, is one of the best. Susan Ericksen's gift for capturing the characters' persona hits the mark every time. I have listened to 20 of these audio books and read the others. I intend to eventually buy those I've read so I can enjoy Susan's narration. The story lines are always very interesting and some of the humorous lines have me laughing out loud. Somehow, J.D. 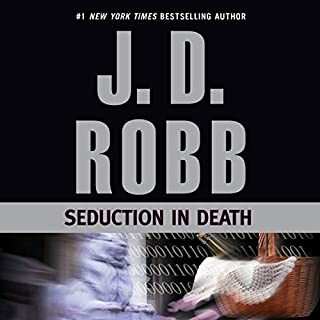 Robb is able to make the love making between her and Roark different in every book and a wonderful experience without seeming tawdry or vulgar, even though at times their banter can be; however, it is usually very humorous. Keep writing them J.D. I just finished the latest, Kindred in Death, and as usual the narration was top notch. 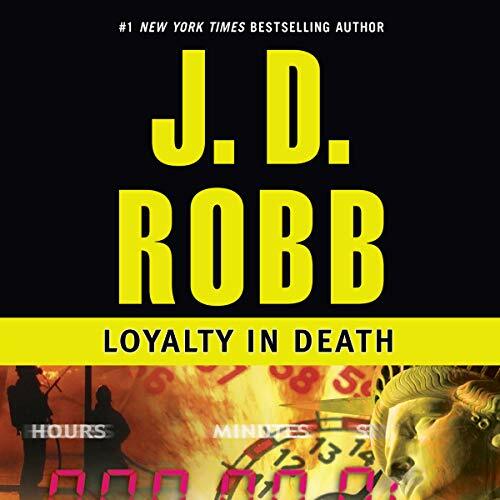 What did you love best about Loyalty in Death? I loved that we got to know more about Peabody in this book. I have always wanted more of her character in the other books, and finally here she gets her own storyline. 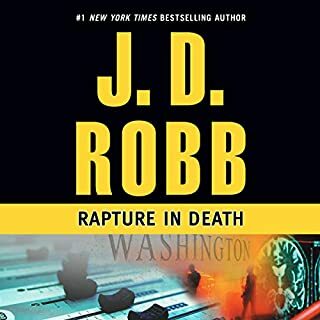 As with all of the books in this series I was compelled to finish this book in one listen. 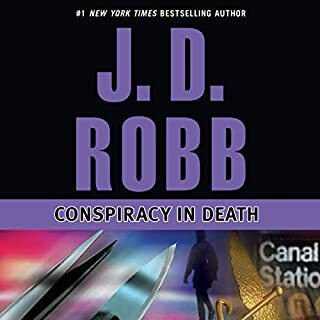 I am always driven to find out whether or not I have figured out who is behind the murders. And if I'm right--I love being right. And if I'm wrong--I love being pleasantly surprised. It's a win-win situation. Susan Ericksen does a phenomenal job of bringing the characters to life and making each one distinct. She gives the characters voices that you wouldn't think up on your own if you just read the book, but they each fit the characters so well. In this book in particular, I loved how she portrayed Ratso. I couldn't stop laughing. This book, as with the others in this series, is well worth the credit! This series keeps getting better! 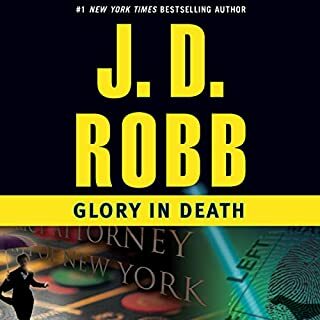 I don't know how JDRobb does it, but the stories and plots are continually fresh and full of twisty-goodness. This plot is intricate and well developed. I didn't figure it out until right before the end. I recommend the series for those mystery buffs, that like a lot of romance thrown in for good measure! Police drama with a twist. 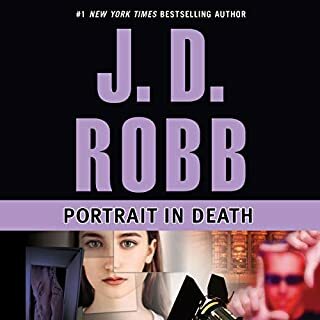 All the "in Death" novels are filled with wonderful characters you'll miss when you finish the book and you'll be delighted to visit with them again in the next. I've read about 20 and I can't wait to read more. Oh, and if you've ever thought "Not for me, I don't like Sci Fi" think again. The futuristic aspect won't spoil it for you, I promise. What made the experience of listening to Loyalty in Death the most enjoyable? It's the begining of Peabody and McNabb's romance. What was one of the most memorable moments of Loyalty in Death? I love her accents for the characters. several times, There is always funny stuff when Eve or Roak are concerned. 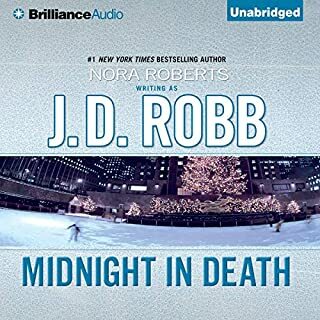 Yes, I would recommend this audiobook, Susan Erickson has developed the reading for each character, where I can follow the story so well that it is like watching a movie, I can see the characters, which also gives compliment to the writer, J. D. Robb (Nora Roberts). She keeps me reading her books because of how the characters are so interesting and each unique in their own way. 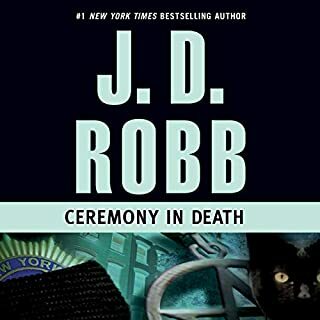 The endings are always the best for me and this one was no exception, because I did not figure the 'who done it' until it was about to be revealed. I like the way Susan can give something special to each character and no one is overbearing on another. 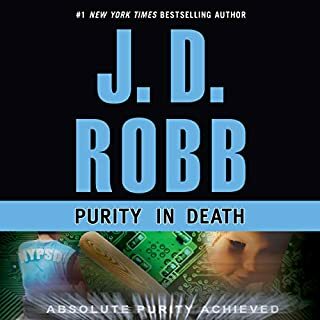 There were parts in this story that made me laugh, especially with Peabody and McNabb and their blooming relationship. 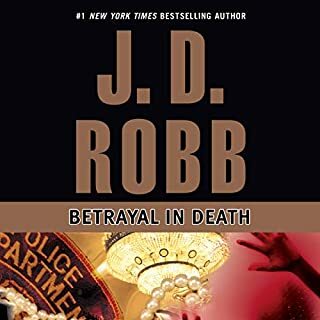 I truly enjoy the Death series, when I can't get them on audio, I read the hard copy and still enjoy them, but reading is much easier after getting to know the characters on audio. 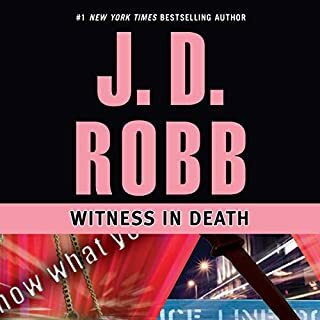 Once again this is an outstanding book by jd robb. I love this entire series and have alwasys been a true fan. 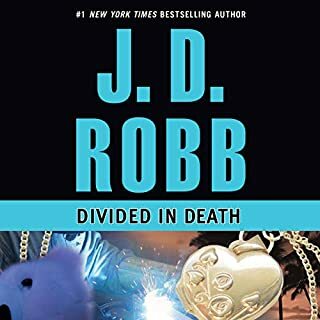 I really love the fact that the auther choosed to keep the same narrator for all the in death series which makes it so much better to continue to follow the story line as the powerful, passionate couple of Roake and Eve progress onward. 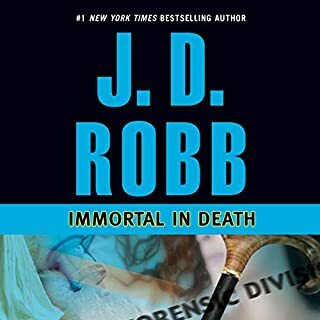 I recommend this book and the whole in death series! this might have been my favorite in the series so far. The relationship developing with Peabody and McNabb is quite amusing.